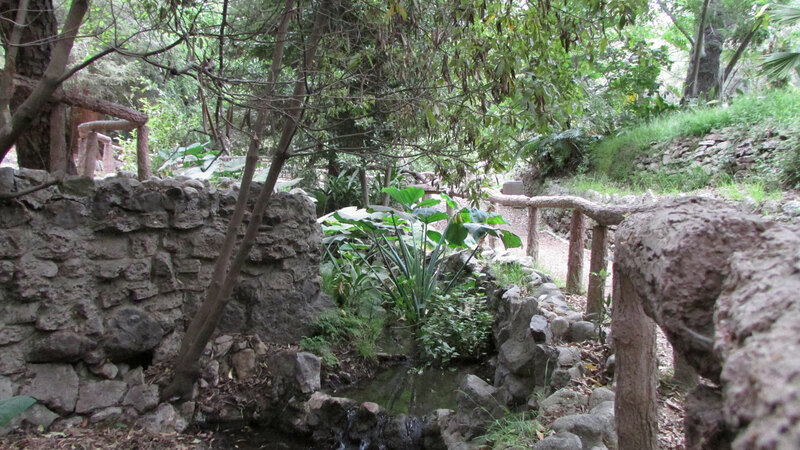 For nearly a century, Fern Dell has been an urban oasis. 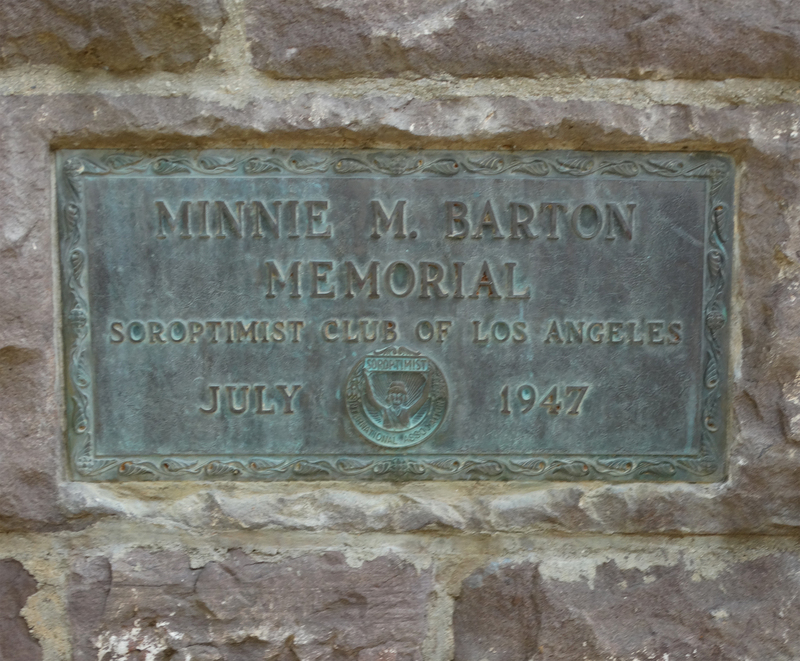 In its first sixty years, it was one of Griffith Park’s most celebrated features but more recent decades have not been so kind. Today it is in need of rehabilitation and, fortunately, help is on the horizon. Facilitated by generous funding from the National Trust for Historic Preservation’s L.A. County Preservation Fund, the Griffith J. Griffith Charitable Trust and the support of our members, Friends of Griffith Park is working with a professional team to lay the groundwork for Fern Dell’s revitalization. Drawn by its year-round waters, pre-European Tongva/Gabrieleño peoples convened tribal meetings in a verdant canyon they called “Mococahuenga.” By the early 20th Century, the canyon had become part of Griffith Park and it took on a new role. In 1914, the Parks Department began adding ferns to the ravine and by the dawn of the 1920s the first of Fern Dell’s terraced pools, bridges and faux bois elements were in place. Visitors to L.A. flocked to Fern Dell. Guidebooks listed it as a “must-see” and postcards captured its beauty for the folks back home. The Depression elevated Fern Dell’s fortunes. It was enlarged by New Deal laborers and craftsmen residing in the Civilian Conservation Corps Camps in Griffith Park. Using the National Park Service handbook as their guide, they built additional water features, picnic grounds, terraced areas and railings in what architectural historians call “Park Style.” Post-War, the Dell became a magnet for families, and many baby-boomers recall playing Tarzan and tag in its jungle-like recesses. Today, 21st Century Angelenos still turn to it for enjoyment. 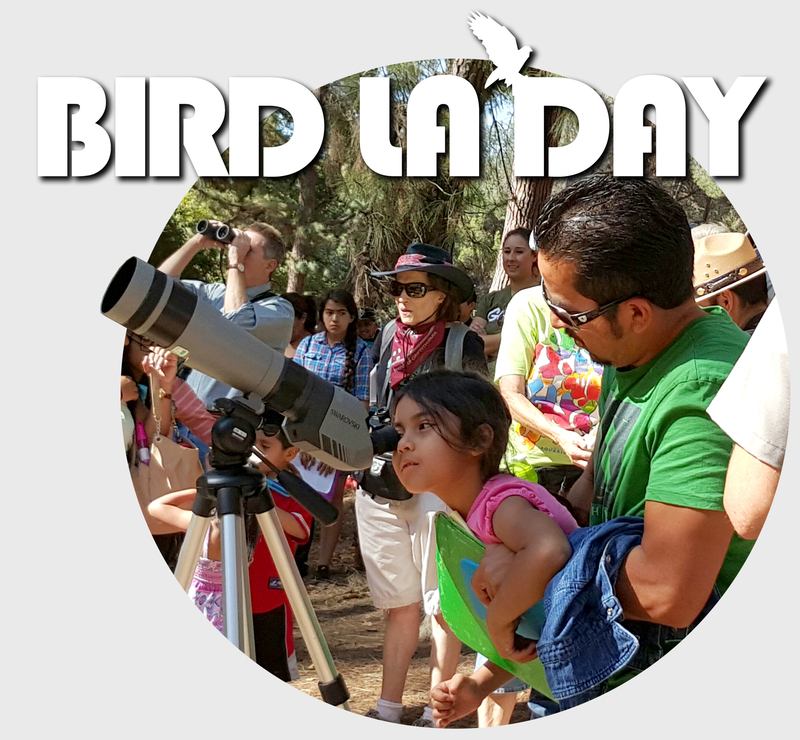 On any given day, a microcosm of L.A. can be seen strolling, hiking, appreciating nature, or enjoying a picnic or a book. Project team members Barbara Joe Hoshizaki and Jorge Ochoa have gone beyond the scope of their contracts to contribute generously of their personal time and material. Senior botanical consultant Barbara Hoshizaki is renowned for having introduced many fern species to cultivation. Past President of the American Fern Society, she has written numerous articles on ferns and has served as a consultant to Sunset Western Garden Book, Hortus Third and the Time-Life Fern Book. She is donating a portion of her extraordinary fern collection to the revitalization – valuable specimens as well as spores that, if properly handled, will multiply, flourish and be ready for planting when the time comes. 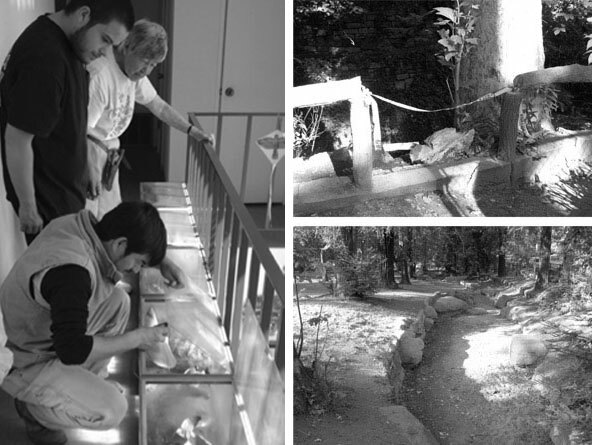 (left) Horticultural Consultants to the Historic Fern Dell Preservation Project, Barbara Joe Hoshizaki (standing) and Jorge Ochoa (kneeling) evaluate fern specimens as a student looks on. Student volunteers in the Horticulture Program at Long Beach Community College will help grow and propagate plants and spores donated by Hoshizaki from her private collection for future planting at Fern Dell. (right) Fern Dell’s faux bois (fake wood) concrete railings and stonerimmed ponds have fallen into disrepair, but a preliminary analysis has found it is not too late to save these character-defining features. KCRW takes a walk with us in Fern Dell. Read the full coverage here, and listen to the “on-air” story.